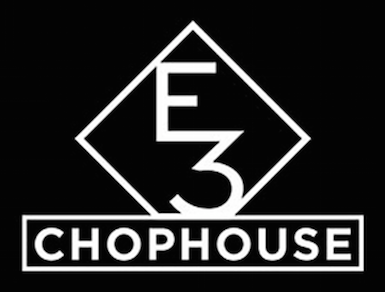 From ranch to restaurant, the all-natural, antibiotic and hormone-free beef served at the E3 Chophouse comes straight from the family-owned E3 Ranch, located in Fort Scott, Kansas. The ranch is owned by the LaRoche family, who prides themselves on raising hormone, steroid and antibiotic-free E3 Black Angus cattle and is excited to bring its healthy beef to the locals and visitors of Steamboat Springs, Colorado. The ranch and chophouse have an interesting history of celebrity involvement, which includes – in addition to professional baseball brother-owners Jeff, Adam, and Andy LaRoche – Jason Aldean, Willie Robertson, and award-winning country singer Luke Bryan. Bryan is indeed responsible for rocketing the E3 logo to fame after wearing his signature E3 logo hat to his many award shows and sold-out concerts. Adam and Luke have become friends while spending time filming their popular hunting show, Buck Commander, at the impressive E3 Ranch, which is operated by Adam and Jennifer LaRoche. Other Buck Commander celebrities (and fellow E3 hunters) include Duck Dynasty CEO Willie Robertson, and country singer Jason Aldean. This eclectic group loves to visit Steamboat Springs, home to Jeff and Andy LaRoche , where they can visit, fish and play. And in case you are curious about the origin of the E3 name, you are in good company. Adam, a major league first baseman for the past ten years, developed the logo in homage to his baseball history. In baseball, positions are numbered, with the first base designated the “3,” and even though he has won a gold glove for his great defensive skills, he humbly added the “E” (meaning “Error”) to the ranch name.